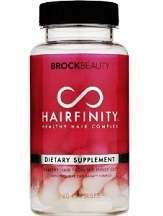 Basic Information: What is Hairfinity Healthy Hair Vitamins Supplements? This review of Hairfinity Healthy Hair Vitamins Supplements provides to customers a comprehensive view of this product and gives an insight into how it works as well what are the shortcomings that one should be aware of when using this product. This will help the customer make an informed decision. These supplements help in promoting hair growth and nourish the hair from inside out. It is available on the product’s website as well as on other shopping websites. It is also available in stores. It includes CAPILSANA™ complex which is a blend of 18 Amino Acids, Hydrolyzed Collagen, Silica and MSM. One is supposed to take two capsules daily but it does not offer information regarding how one is supposed to take it that is with meals or without meals. There are several options available on the product’s website that a customer can choose from. For a month’s supply it comes to $24.99, for two months’ supply it comes to $48.99, three months – $72.99. If one orders 4, 6 or 12 month supply then you get a crystal hair brush along with your supply. The bottles are priced at $99.96, $149.94 and $299.88 for 4, 6 and 12 months’ supply. I was initially sceptical about using this product but after a few weeks the results tell a different story. My hair is shinier, stronger and thicker. My hair was earlier damaged by using a lot of chemical products but through this product, my hair quality is improving. I will continue to use this product for a few more months. There is no mention of any side effects that cannot happen nor are there any warnings given. It is advisable to consult a doctor before one starts using this product. It is advisable for women who are pregnant or nursing mothers to consult their doctors before using this product. The manufacturers are willing to give a refund provided the product is returned within 30 days and includes the unused product along with the documents and original packaging. However the warranty stands nullified if excess quantities of the product has been used/ removed within the 30 day period. The manufacturer’s hold the right to send you a refund if you comply by the rules laid down for claiming a refund. The customer reviews regarding the product are positive and very few people are dissatisfied with the product. Overall it has a good response. Hairfinity Healthy Hair Vitamins Supplements is a product that delivers what it claims and the only downside is the lack of information regarding how to take the tablets as well as the return policy which comes with a lot of clauses. The response to the product is good and it differs from person to person. It is advisable to consult a doctor before taking this supplement.